A study says there is a cheaper way to reroute freight train traffic to St. Louis Park to make room for light rail in the Kenilworth corridor. The Cedar Lake Trail alongside a current freight train track that has been a proposed site for the Southwest Corridor light rail line in St. Louis Park, Minn. on Wednesday, July 10, 2013. One proposal is to sink the LRT in a 30-foot deep tunnel under the freight line and could cost $100 million. 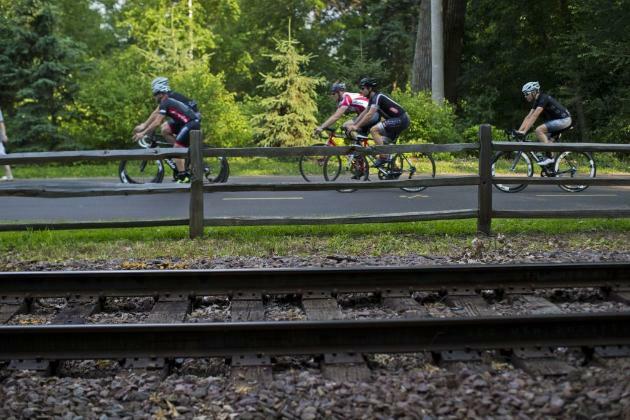 Opponents of a plan to keep freight rail traffic in a Minneapolis recreation area near a future light-rail line seized on an analysis by a railroad union Friday to bolster their argument that rerouting the freight is a better idea. The report by the United Transportation Union, sent Friday to Metropolitan Council Chair Susan Haigh, Gov. Mark Dayton and city and county leaders, could revive arguments for taking another look at ways to reroute the freight traffic that has been a sticking point in the planning of the Southwest Corridor between downtown Minneapolis and Eden Prairie. Mark Wegner, president of Twin Cities & Western Railroad, said he hasn’t had a chance to fully study the union report. The Metropolitan Council is leaning toward putting the light rail in $160 million tunnels in Kenilworth under the freight lines. It resists exploring reroute alternatives to the $200 million option, which involves putting freight tracks on two-story berms and is opposed by St. Louis Park. The union report did not put a price tag on its proposal but called the $200 million plan “overreaching” and unnecessary to handle likely traffic on the Twin Cities?&?Western Railroad. The union “fails to understand the need for the construction of a berm,” it said, taking issue with the TC&W’s assertion that curves and up-and-down grades made the existing track unsuitable for additional traffic. “An inspection of this track area resembles other mainline railroad with medium grade and curvature,” the report said. It said using some of the existing freight route in St. Louis Park and better use of a switching yard in Golden Valley could help handle the TC&W traffic that now uses the Kenilworth corridor. A consultant funded by the railroad industry and contacted by the Met Council refused last week to explore reroute options, citing a conflict of interest. The agency said alternative reroutes were studied and rejected. Hornstein, chair of a House transportation committee, said the report lends credence to exploring alternatives for rerouting the freight traffic to make room for transit. This entry was posted in Southwest LRT on October 7, 2013 by citoyen1789.